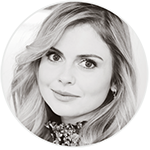 Rose McIver was very polite and very nice. She told me she liked my cosplay costume which was a bonus. I told her during the autographing that she reminded me of Snow White in real life when what I really meant was Cinderella. I got the two disney characters mixed up because I was nervous. 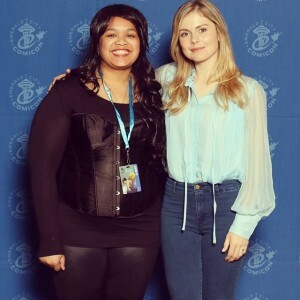 She signed my picture, just smiled, and told me to tell other people to check out the series ‘iZombie‘ since it’s such a good show and I told her I love watching it, ‘Tell your friends‘, she said. Then the photo op. She greeted me politely, put her hand on my shoulder and then when it was all over shook my hand. Very excellent fan meeting her for my first time. And that was it. Big thanks to Ada for sharing her story!